As a sedation dentist, we recommend that patients who suffer from dental anxiety, use sedation to get necessary dental work done. Millions of people suffer from some form of dental anxiety which in a mild case, can cause worry or concern. In more serious cases, this can prevent people from visiting the dentist at all. The longer treatment is delayed, the more serious health problems become, so we always recommend seeking help quickly. Fortunately, we make it easy to do so. 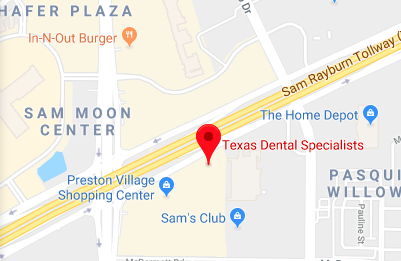 When you come in for a dental exam or consultation, we will inspect your teeth and gums to identify any oral health problems that exist prior to formulating a plan for treatment. We will then discuss with you, our patient, the various methods of sedation that can be used to ensure your complete comfort. During these appointments, we are frequently asked if there are any side effects that should be considered. With that in mind, here are some of our answers. Typically, sedation is entirely safe. The only real risks come from outside health issues that are unrelated to your oral health. For example, some people may have an allergy or sensitivity to what is used in sedation. Others may be at a heightened health risk for risk factors due to other medications. As a sedation dentist, we need to know about any health problems that you have so that we can incorporate that information into our treatment plan. We may, for example, use a certain type of sedation or recommend that your treatment is delayed until a more pressing health issue is resolved. You can expect to feel tired after having sedation. This is completely normal and is especially important if you have been put to sleep. In order to keep you and other drivers safe, we recommend that you have someone take you home. Getting behind the wheel while drowsy is unwise and has been known to lead to car accidents. Having a driver, eliminates this risk. If you don't want to be drowsy, you may want to consider nitrous oxide as your only sedation method since you can feel like yourself quickly after using it. It is important to rest after having sedation and major dental work completed. We recommend that you plan on resting for the next twelve hours. This can be taking a nap, watching movies, reading a good book, etc. They key is to rest so that your can recover from the treatment faster and to ensure that you do not overexert yourself. We also recommend that you drink plenty of water. As a sedation dentist, we have found that our patients tend to be extraordinarily thirsty after having dental work completed under sedation. This is a simple fix though – just plan on buying a water bottle and refilling it throughout the day. Staying hydrated is good for your body anyway. As a sedation dentist, we have found dental work to be entirely safe. We do, however, want to remind you to tell us about any other health concerns that you have so that we can be well informed prior to planning for your dental care.